Yesterday night’s lesson was fantastic. 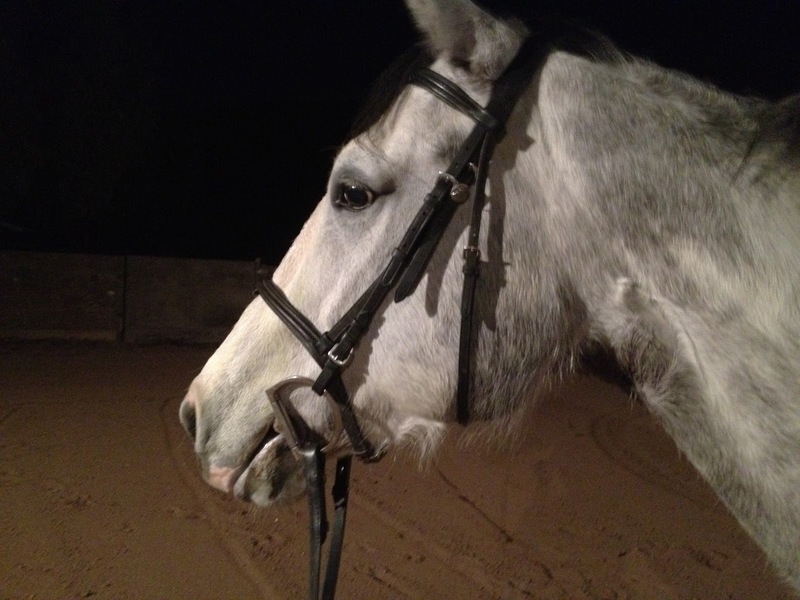 After schoolings or shows Spirit is always a very good girl – willing to learn and be obedient, and last night we capitalized and learned something new: haunches in. 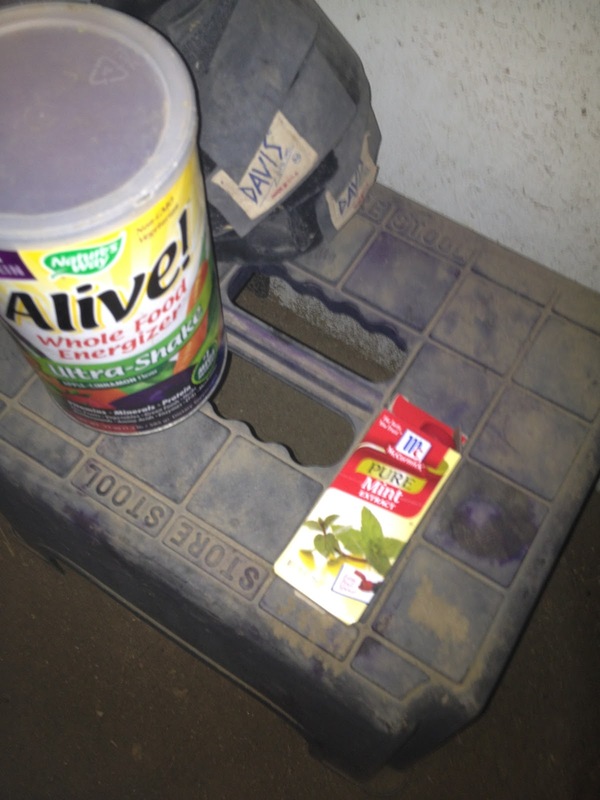 This is where the front two legs stay on the track while the hind legs move inwards towards the center of the arena. The horse is bent correctly throughout. Jessica and Storm circling Laurie and her doggie Zen. 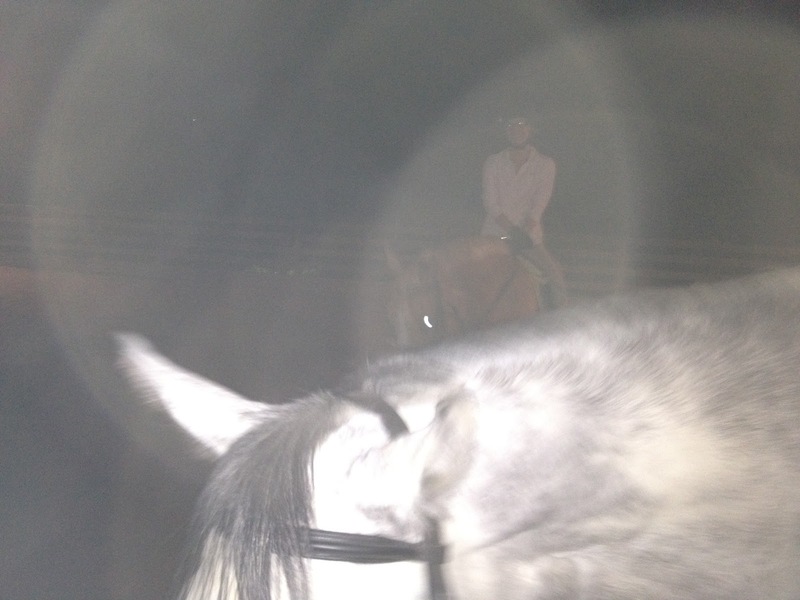 Spirit was supple and willing and we were able to get it both directions, walk and trot. It led to lovely, soft, uphill canter transitions. We also did some turn-on-the-forehands. This is where the horse’s front legs stay in the same place while the rear legs move in a full half-circle so that the horse changes the direction its facing. We’ve practiced this occasionally in the past, though always on the rail of the arena to help Spirit keep her front legs in the same spot. Last night we did it away from the rails. Laurie laughed and described Spirit’s rear legs as lifting super high and careful, like a Spanish walk! 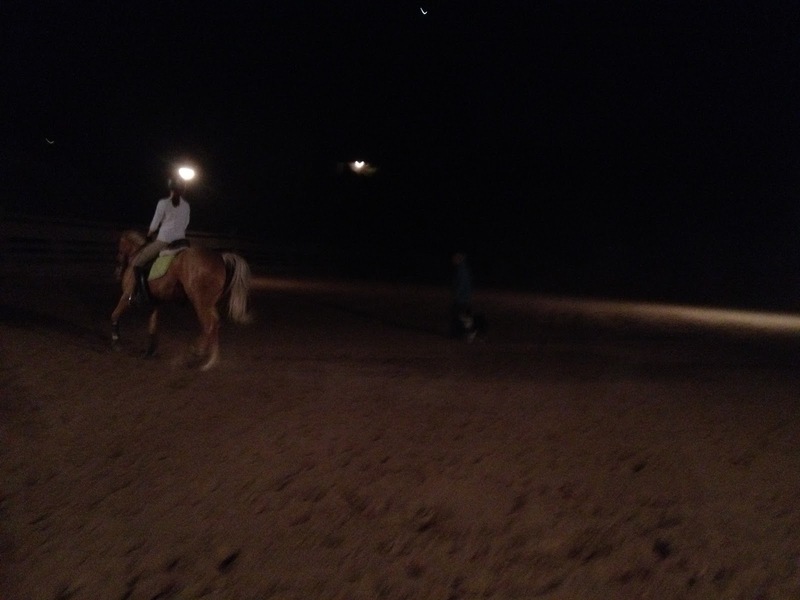 Yes, it normally is this dark for our lessons. At least in winter time. Also, I decided to try and flavor Spirit’s bit this evening. She doesn’t like her stainless steel bit half as much as her other one with copper in it, so I put a small dab of mint extract on the french link. She seemed to really like it – no chomping weirdness!